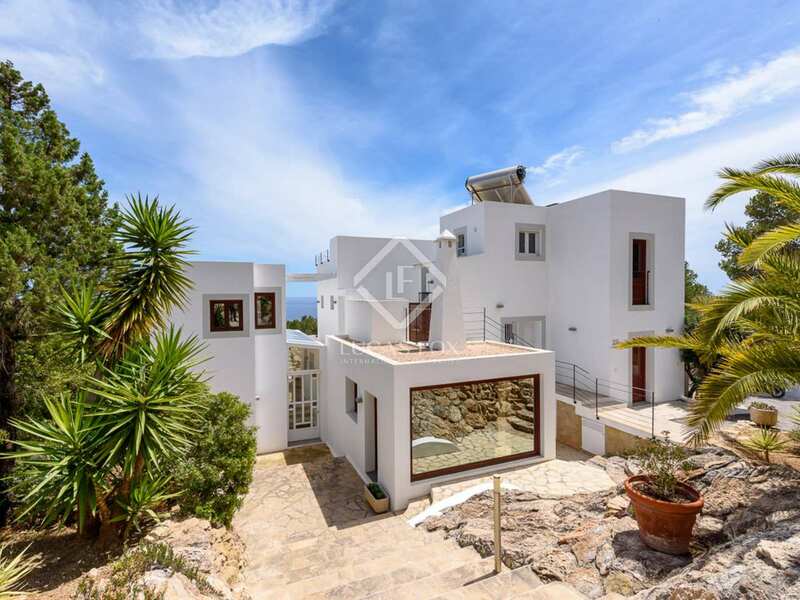 Spacious 7-bedroom villa for sale in the hills of Es Cubells, a peaceful location with panoramic sea views and winding mountain paths leading to the best beaches on the island. 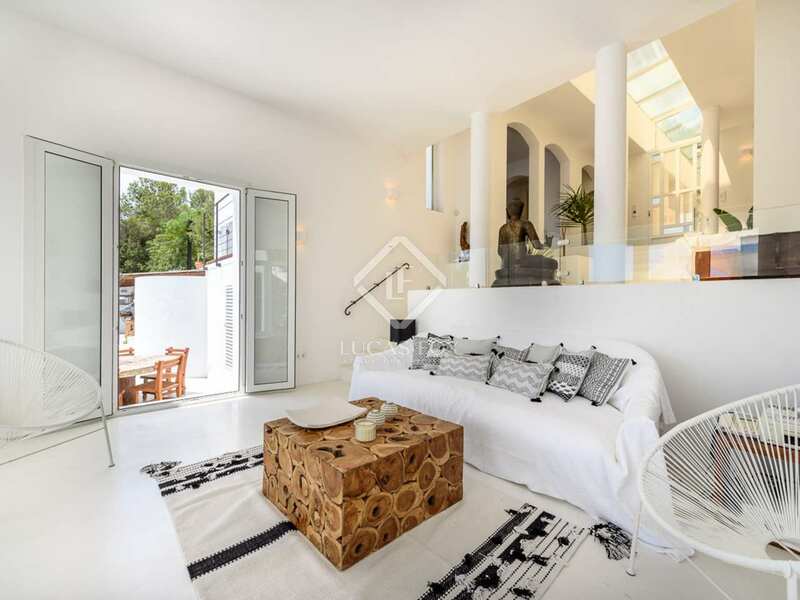 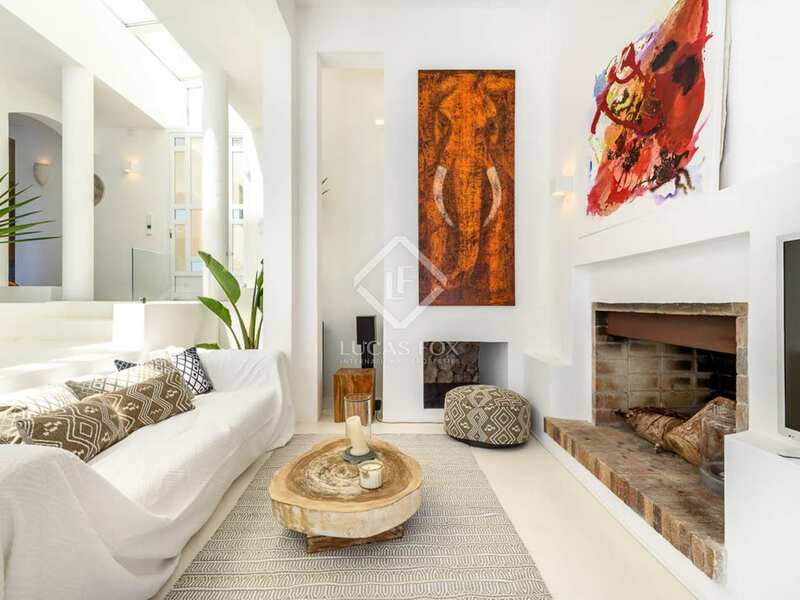 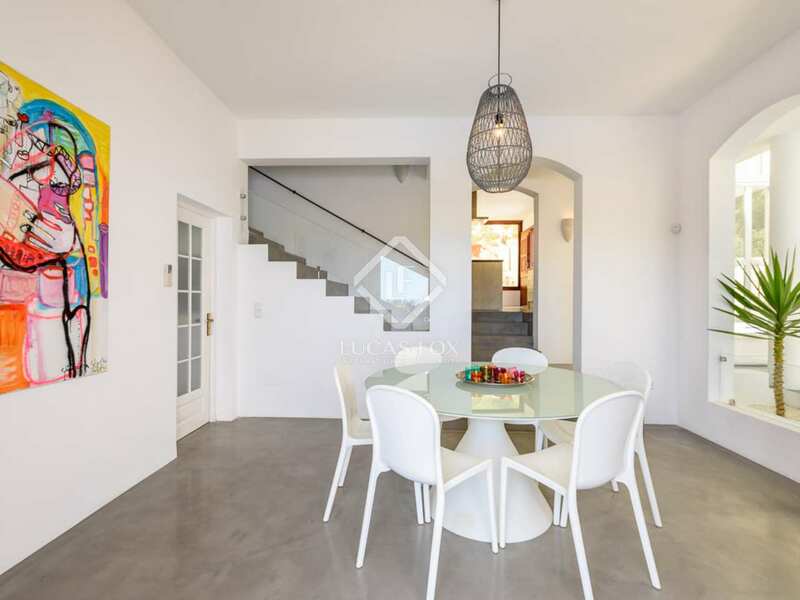 This beautiful high-quality modern villa is set on a large, private plot in the hills of Es Cubells, a highly sought-after residential area with little tourism with plenty of privacy even during the peak summer months. 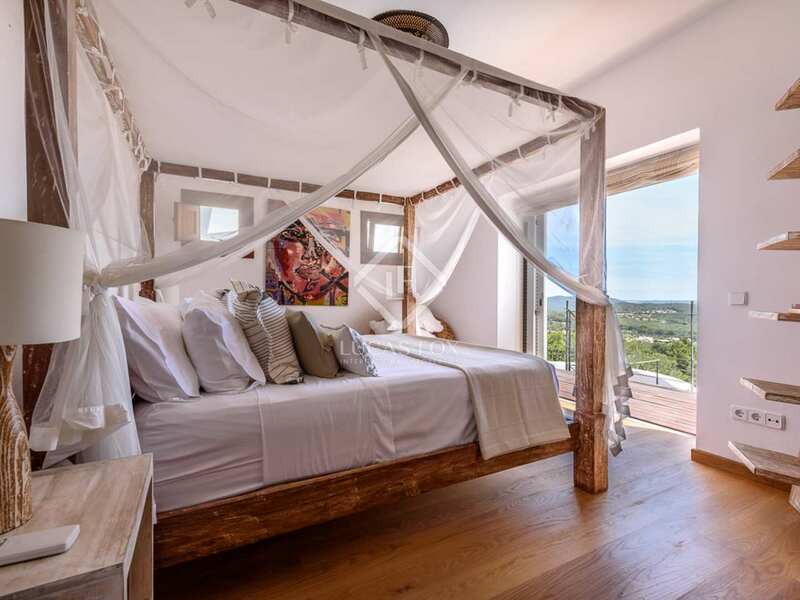 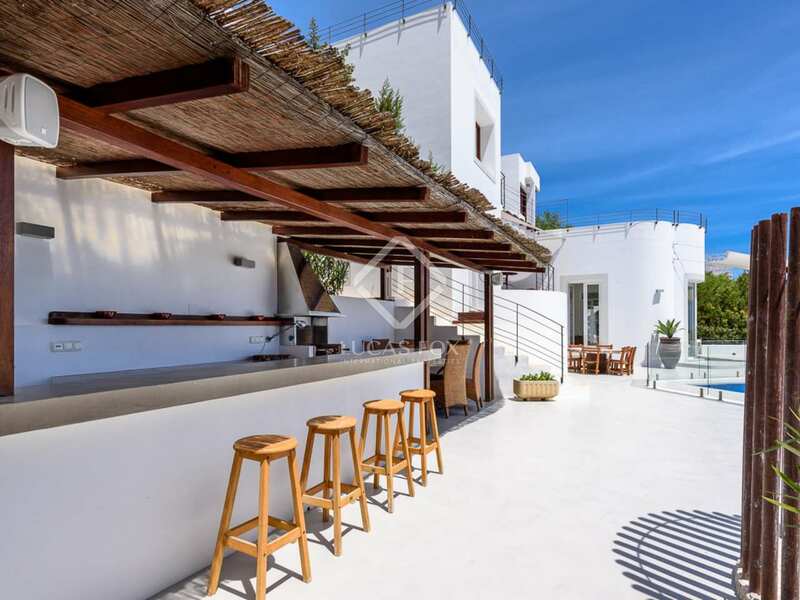 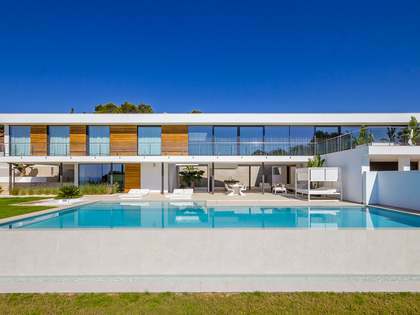 The villa stands out for its spectacular views of the crystal clear sea, out to Formentera and the Ibizan coastline. 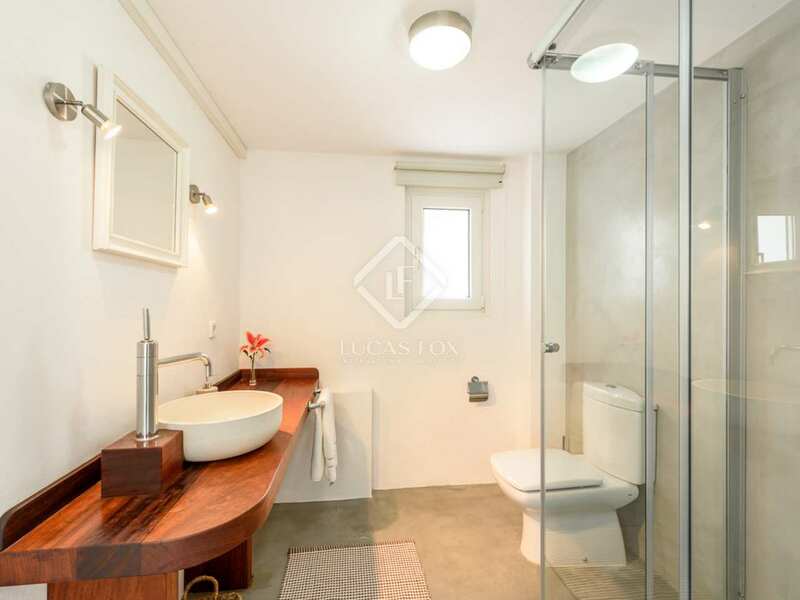 The modern, detached villa is an ideal family home with 7 spacious bedrooms and 6 bathrooms. 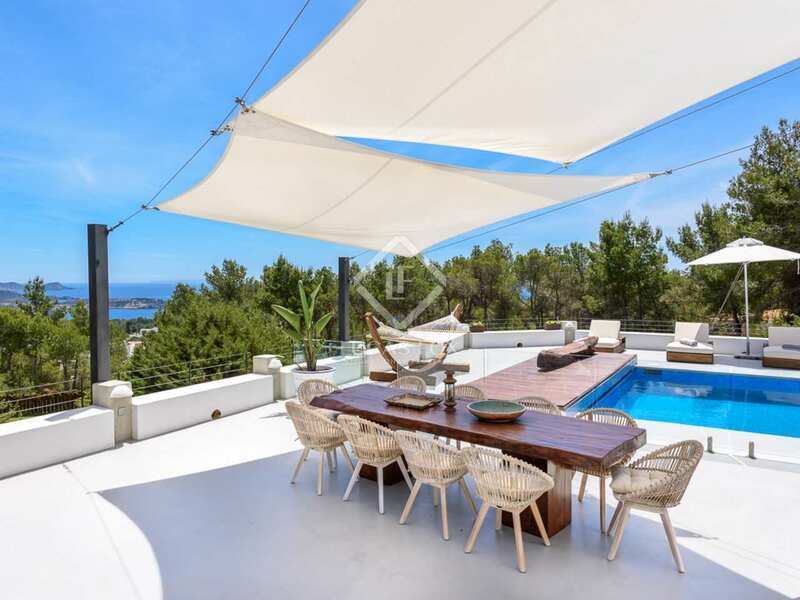 The property is distributed across 2 main levels and presented in impeccable condition. 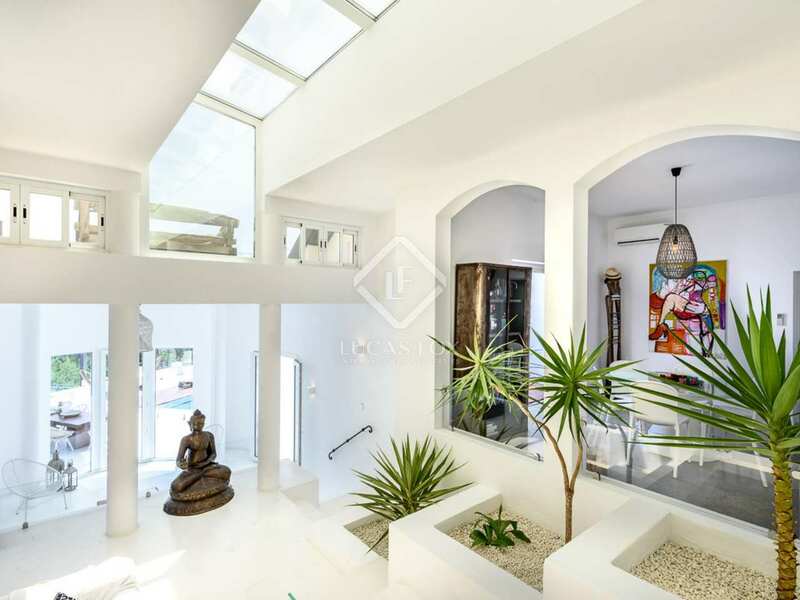 The entrance to the villa is open and bright with high ceilings and archways leading to the different spaces including a living room, which is set slightly lower, and a dining area. 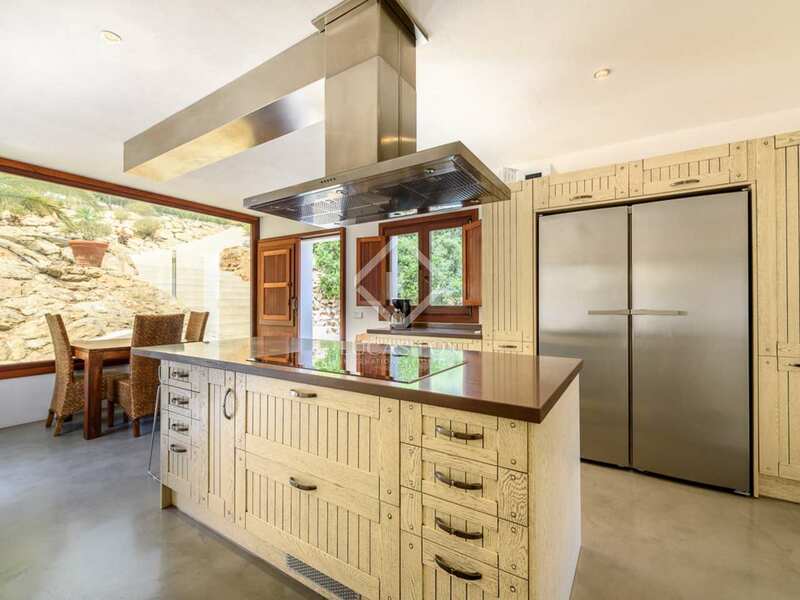 The kitchen is modern and fully equipped, it also has an island, perfect for breakfast and informal dining. 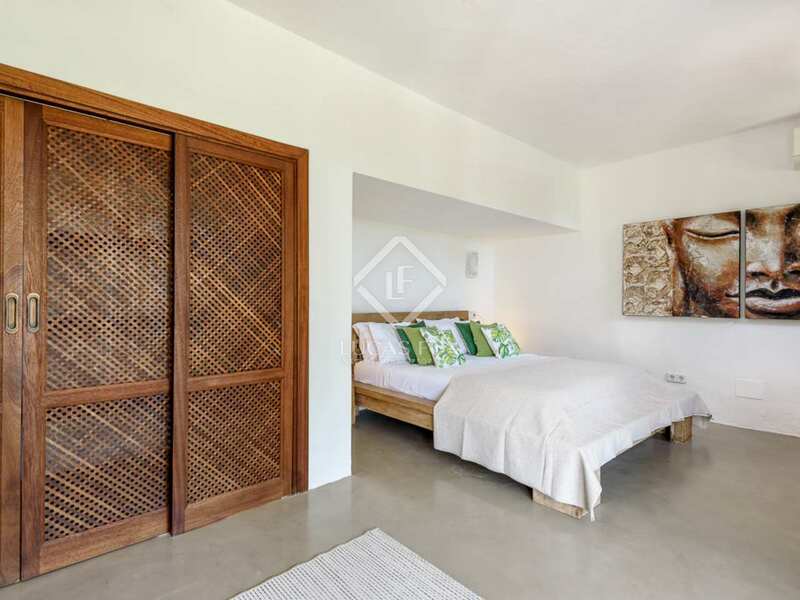 On the ground floor we also find 1 of the bedrooms and 1 bathroom. 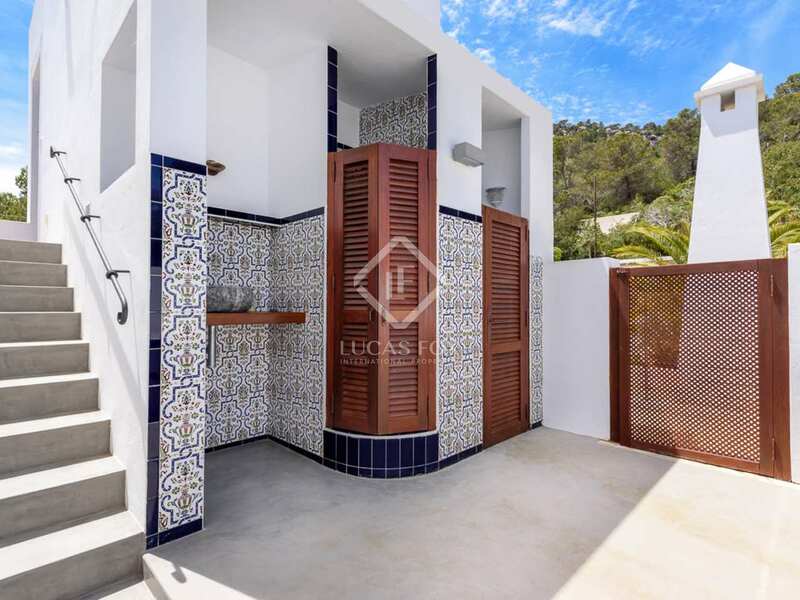 On the first floor there are 3 bedrooms and 2 bathrooms whilst the remaining 2 bedrooms and bathrooms are at a lower level, under the pool area. 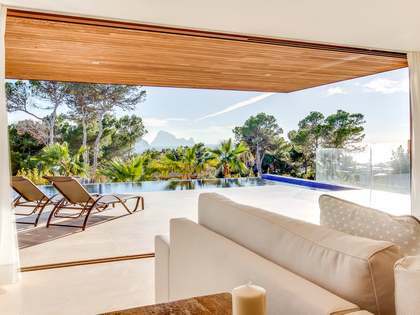 The villa has stunning exterior space. A beautiful pool is surrounded by terraces, both open and covered for dining and sunbathing. 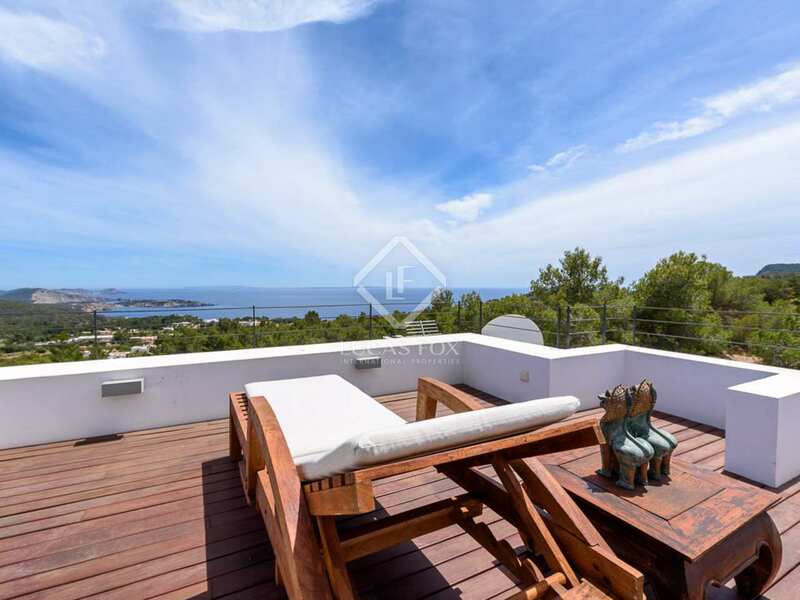 From the terraces the beautiful sea views can be enjoyed. 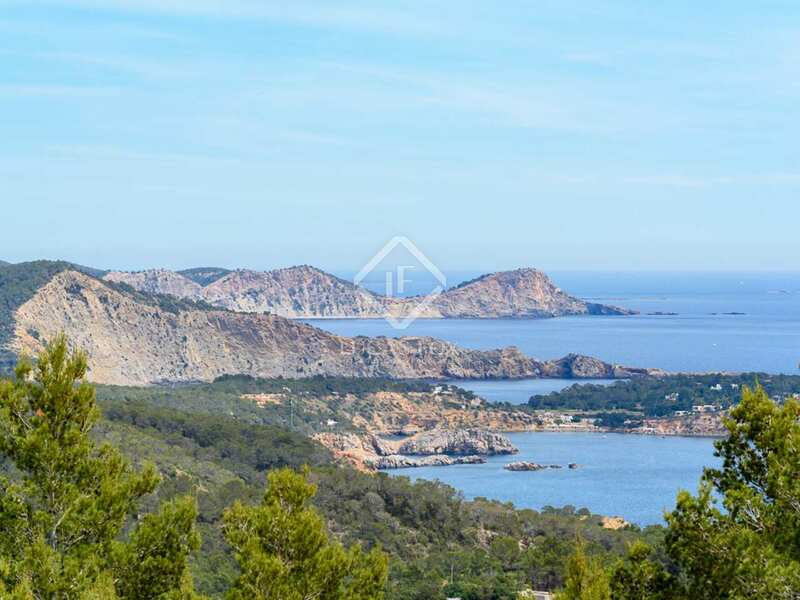 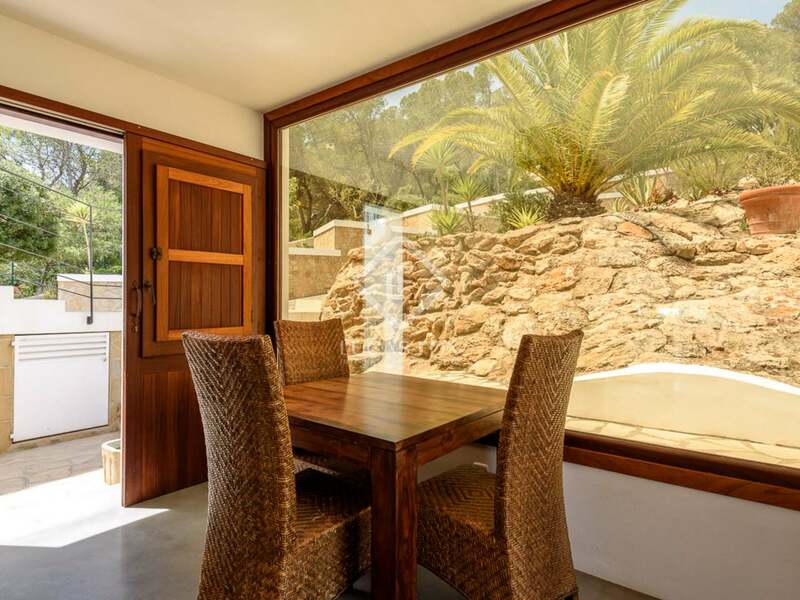 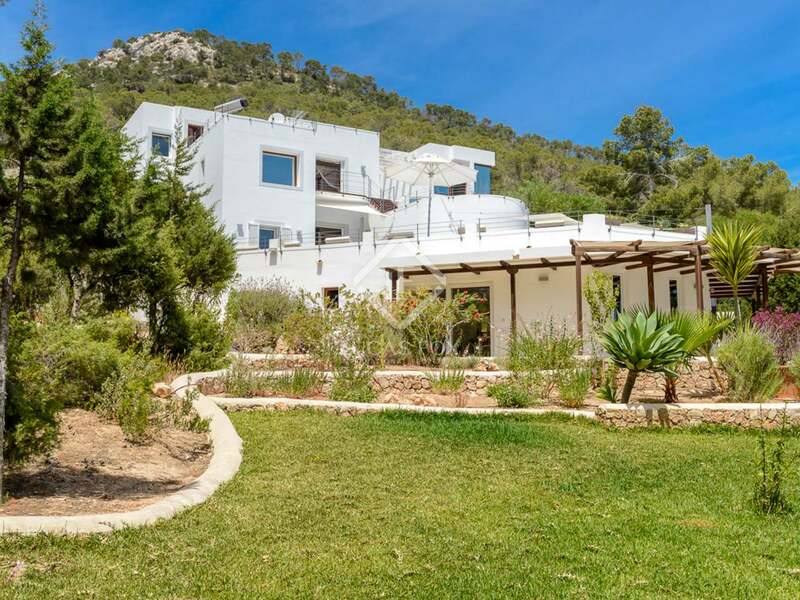 There is also a barbecue area ideal for entertaining and a children's play area making this an excellent option for families who wish to be surrounded by the wonderful landscape so emblematic of Ibiza. 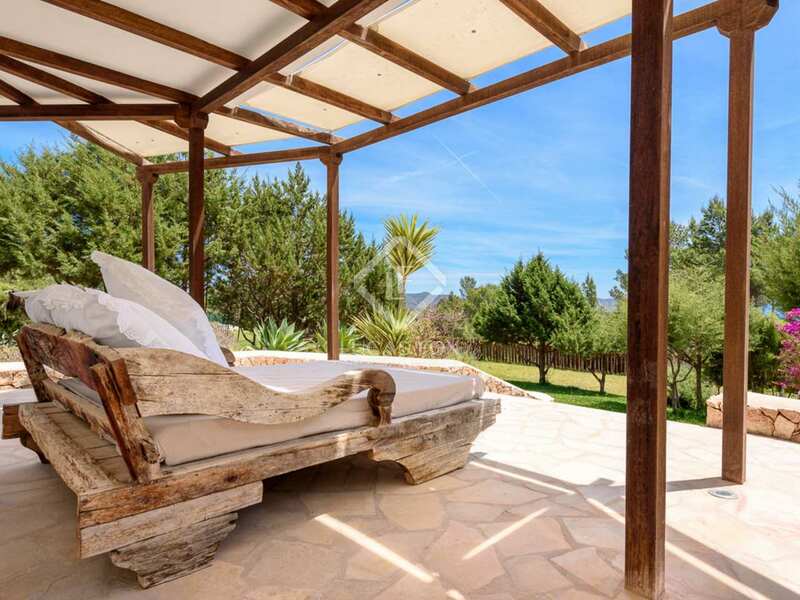 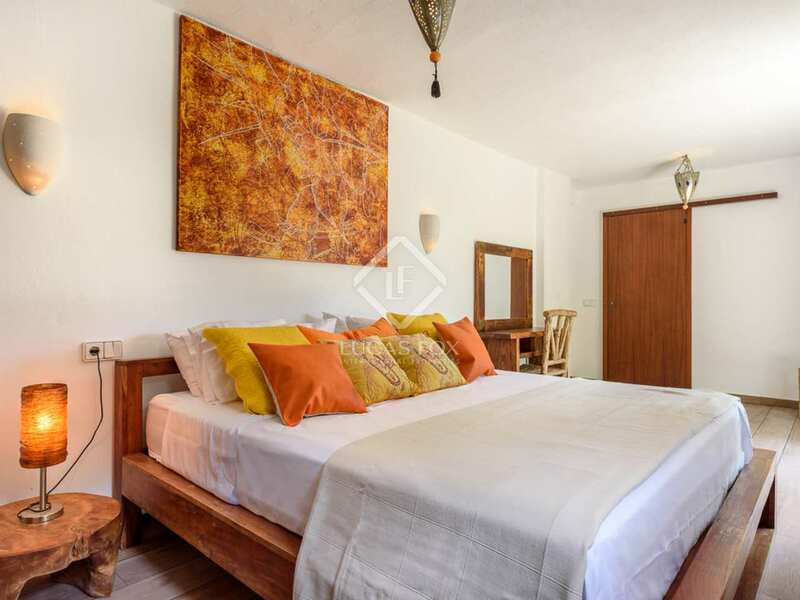 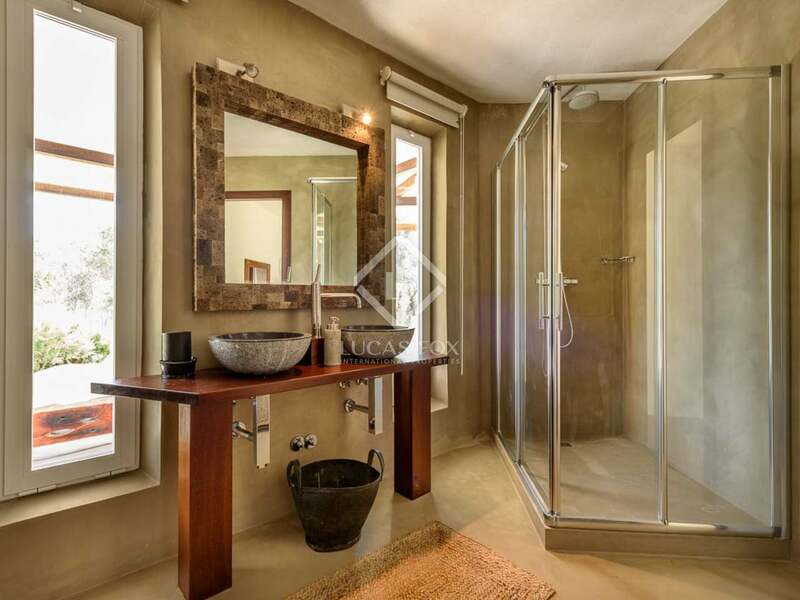 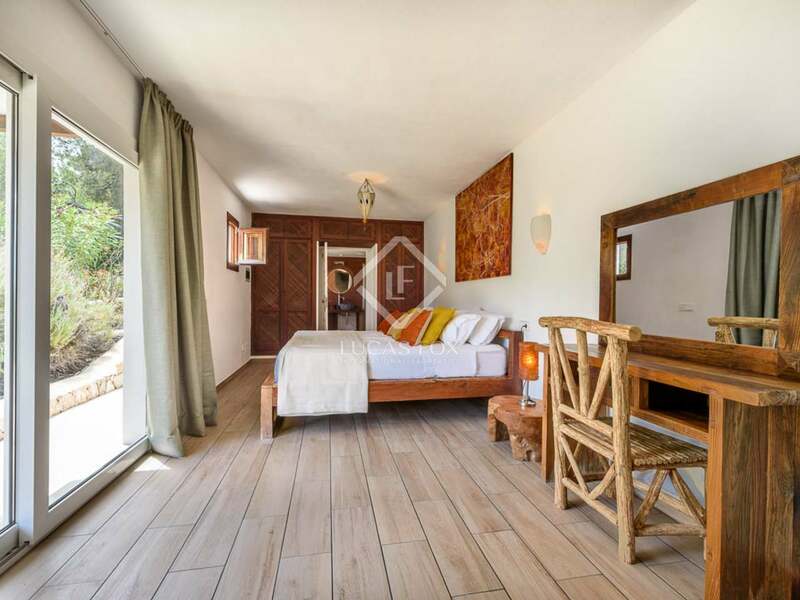 Property located in the hills of Es Cubells, a desirable area of San José with little tourism and therefore peace and tranquillity all year round. 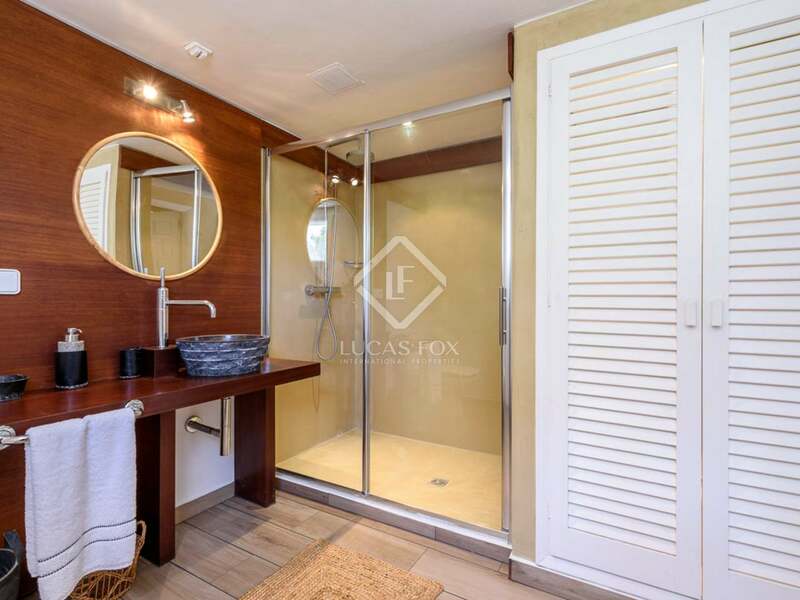 All necessary services are nearby and the airport can be reached in 20 minutes.